According to Coldwell Banker’s Real Estate Smart Home Marketplace survey, half of consumers say smart home technology is important for their current home or their next home purchase, with the most desired smart home automation devices being thermostats, sensors, alarms and lighting. Homebuyers value existing smart home technology and consider it a major benefit when shopping for real estate. One developer in Ohio has recognized this demand for home automation and is incorporating it into their model homes & new builds. The DiYanni family started their business in the late 1970s as a construction company focused on delivering quality craftsmanship. Since then, DiYanni Homes has built over 2,000 custom homes throughout Ohio. They have always built around the Central Ohio area, and have recently expanded into both the Cleveland and Cincinnati markets as well. The Ohio residential building market, like most others across the United States, continues to be increasingly competitive, and builders are looking for new ways to differentiate themselves. 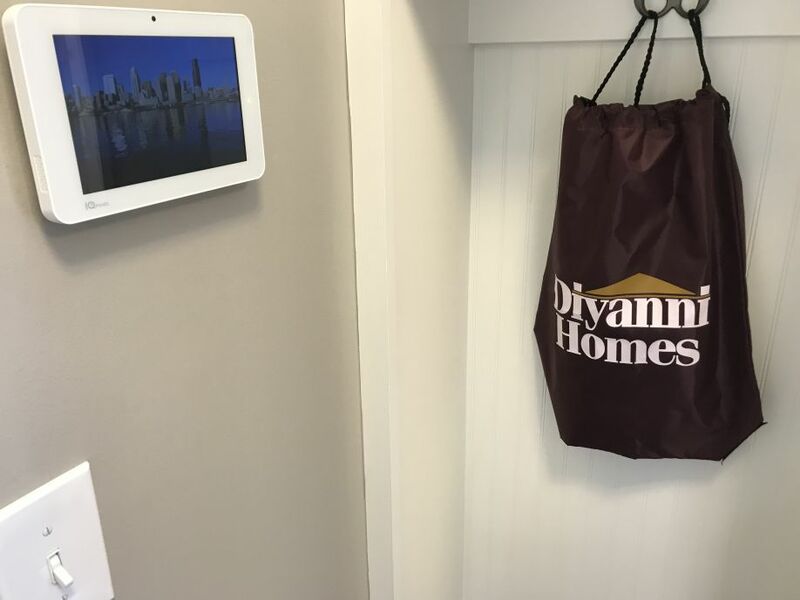 To respond to this and stay up to date with the latest desires from homeowners, DiYanni Homes made the decision to offer Z-Wave smart home technology in all of their new builds. All DiYanni Homes now come standard with a Z-Wave IQ Panel, IQ Z-Wave Hub and Honeywell Z-Wave Programmable Thermostat to offer their customers added functionality, comfort and flexibility. The added home automation is designed to introduce homeowners to the capabilities of smart home products and give them access to home safety features straight from their tablet or mobile device. With Z-Wave technology, they can remotely access their smart home to unlock doors, turn off the air conditioning, check on cameras and more. The smart home control is designed to be extremely intuitive and user friendly, so homeowners can effortlessly add new devices to their system as well as keep an eye on their home from anywhere – two features that are in high demand amongst consumers. The devices assure them that their home is secure by sending notifications and alerts if an alarm goes off or if smart sensors detect any changes to the home environment. This is especially meaningful for DiYanni customers who may live in rural areas and could potentially be a few miles from their nearest neighbor. DiYanni’s first build equipped with Z-Wave technology is their existing model home in Sunbury, Ohio where their potential clients can view the technology & see how it works with the home. During the home building customization and design process, DiYanni customers have the option to add other Z-Wave smart home products to their system including smart lighting, plugs and outlets, garage door openers and more. All customers are connected with a Guardian Protection Services representative to help them continue building out a Z-Wave smart home system that makes sense for their family. Sometimes it can be daunting for homeowners to build their own smart home systems. If builders and construction firms offer it as part of their services and provide the consultation needed to understand how to use the technology, it will become easier for consumers to understand the value and importance of smart home solutions and how to leverage them to add convenience, security and peace of mind to their lives.